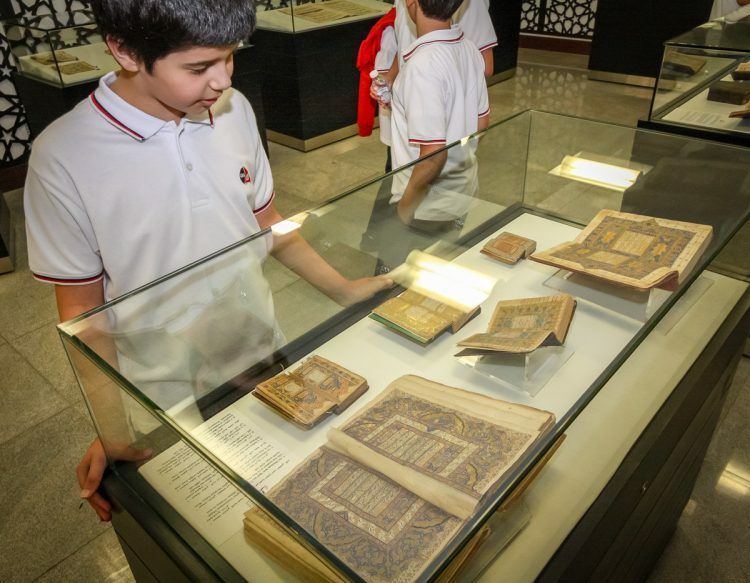 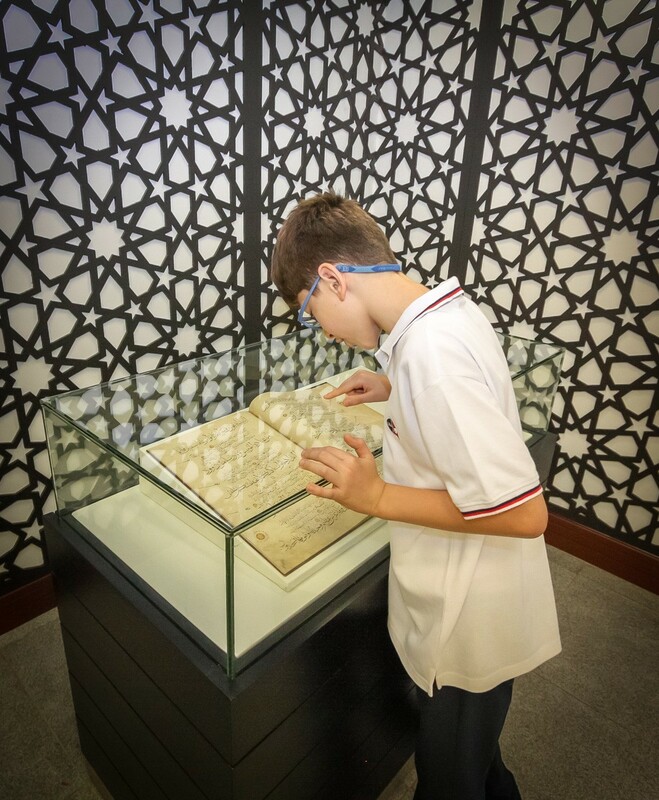 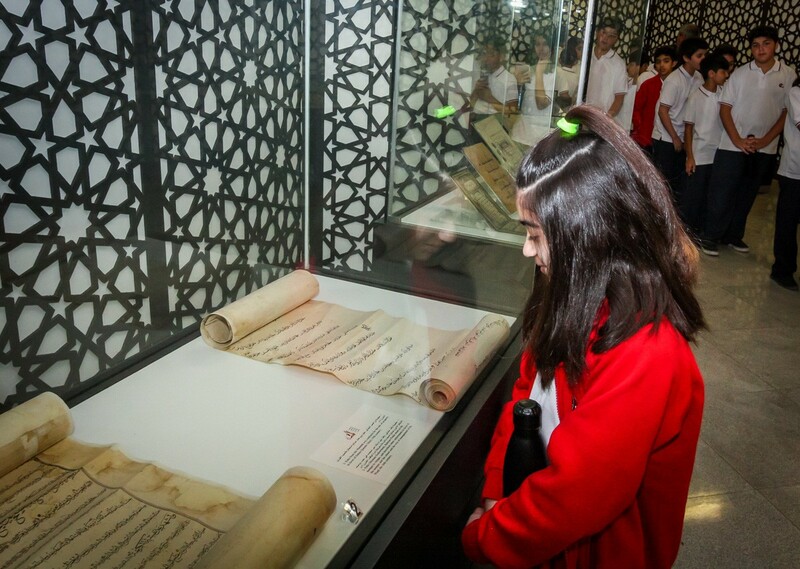 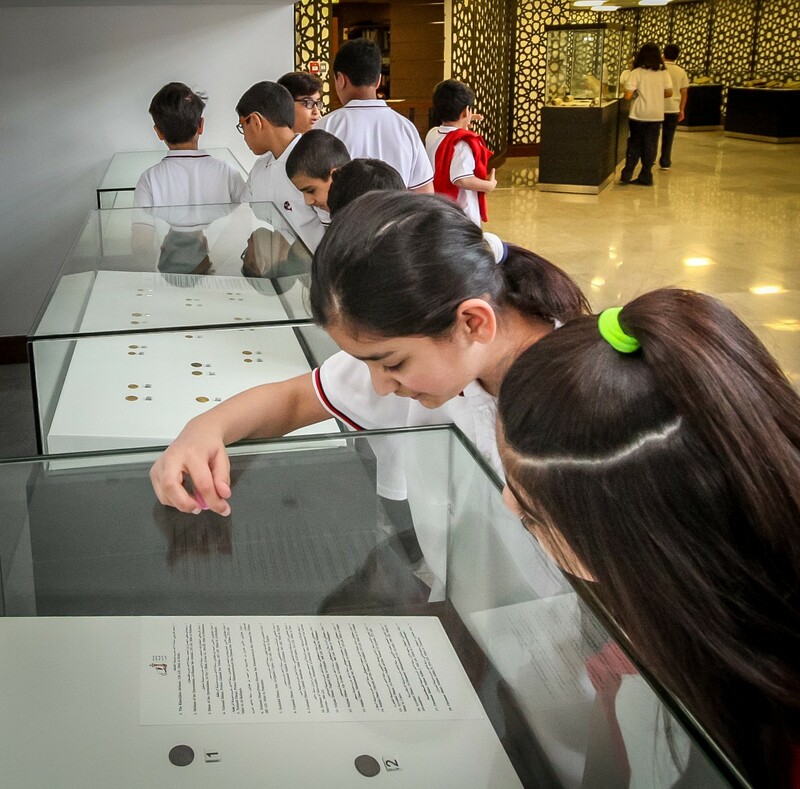 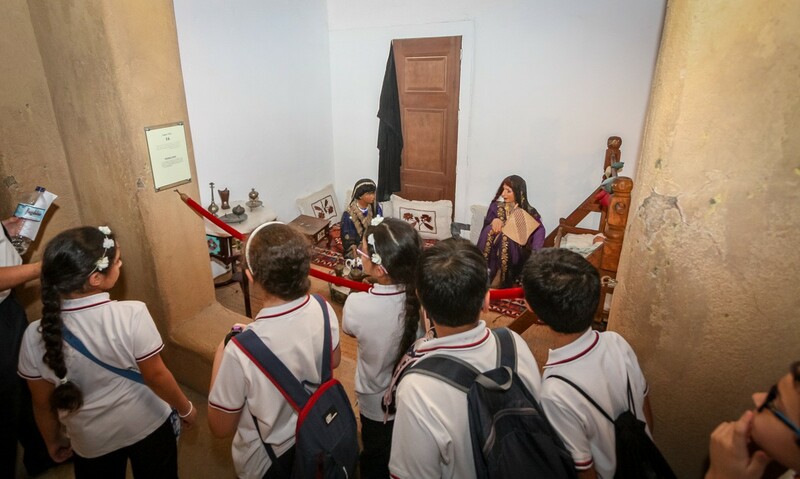 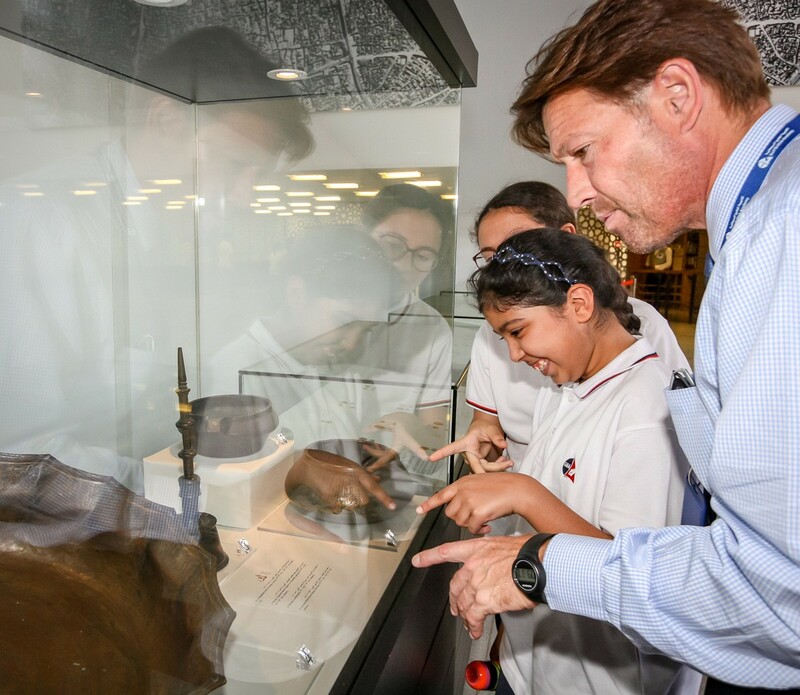 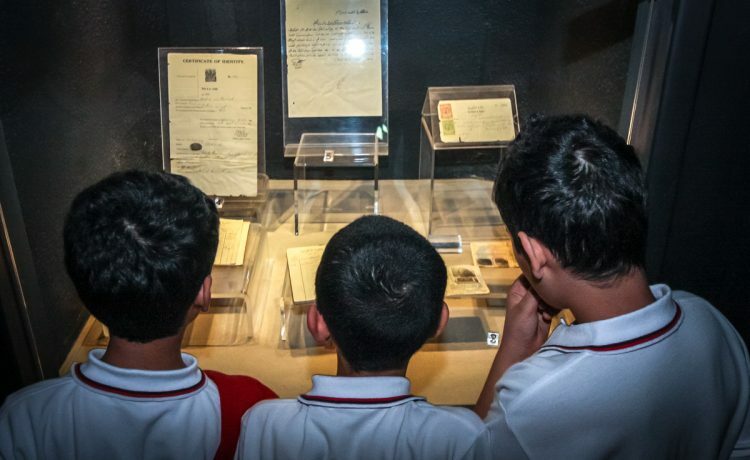 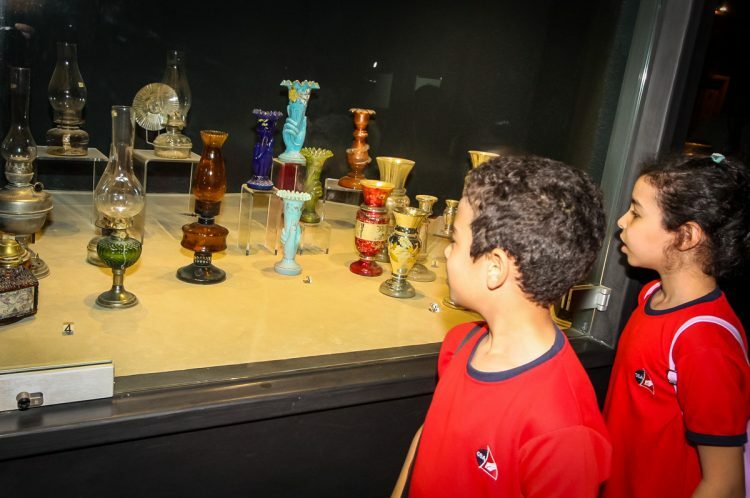 For the last couple of weeks, Key Stage 2 (KS2) has been visiting the Kuwait National Museum complex, namely the Heritage Museum and the Archaeology Exhibition, which are located inside the complex (currently undergoing a splendid refurbishment). 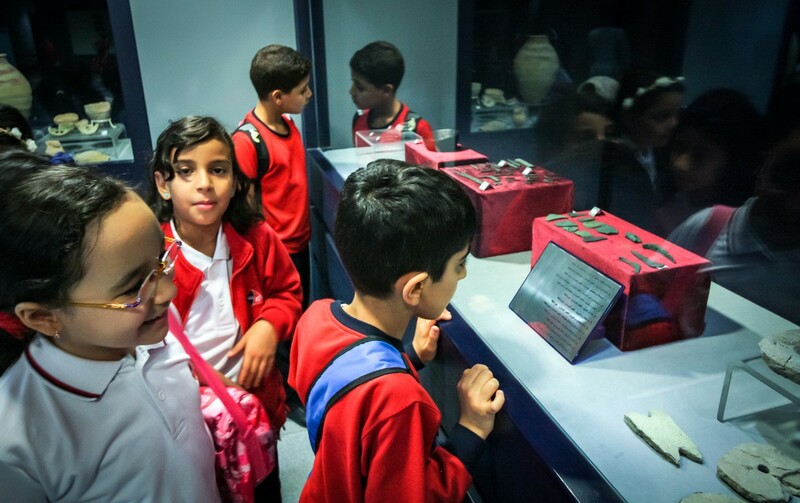 Children from all KS2 classes began their tour at the archaeology exhibition, where they enjoyed observing and reading about the artefacts on show. 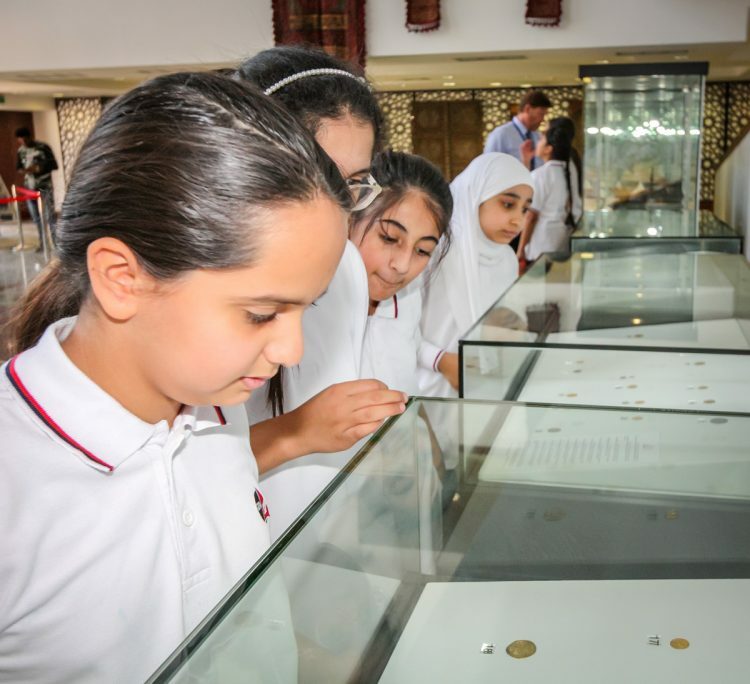 These ranged from historical wooden doors and old scrolls to coins, pots and tools found during an archaeological dig on Failaka Island. 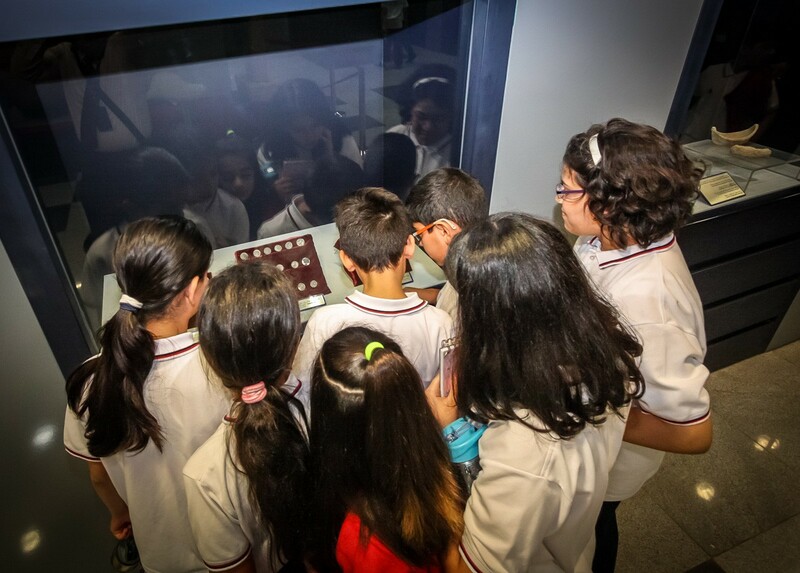 Many of these artefacts are from the Bronze Age and Hellenistic period. 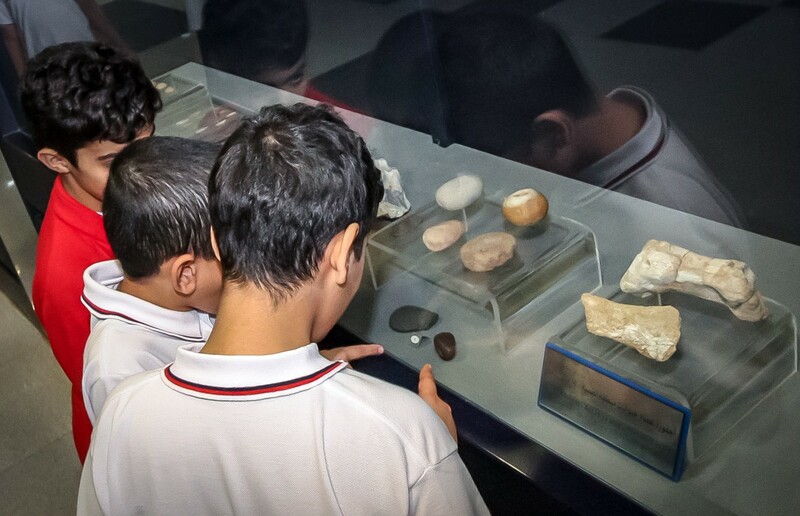 Also on display were flint arrows and blades from the Neolithic age, 16 million-year-old fossils, and a wide variety of jewellery and gems, which caught the eye of many of our pupils! 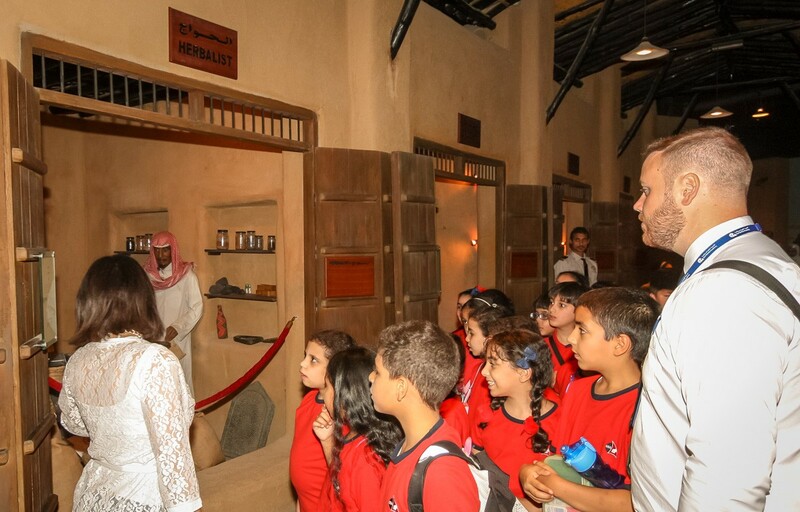 Next up was the Heritage section of the museum. 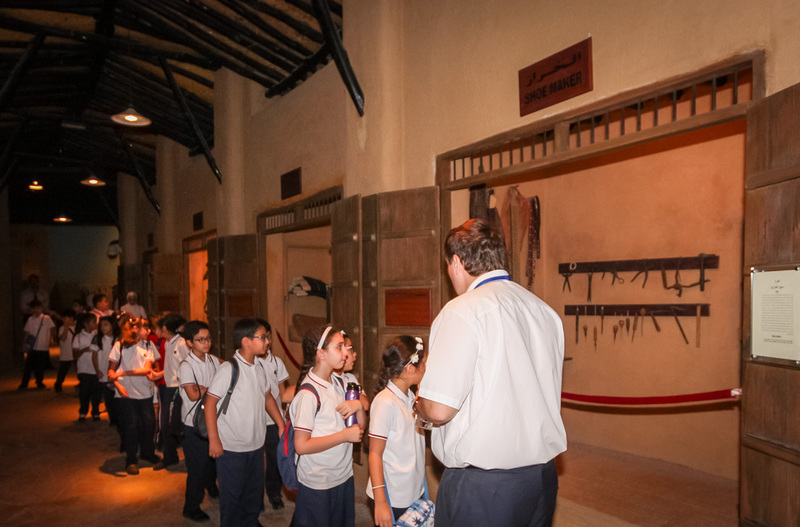 The children loved this as it consisted of areas that charted the history of Kuwait since its founding. 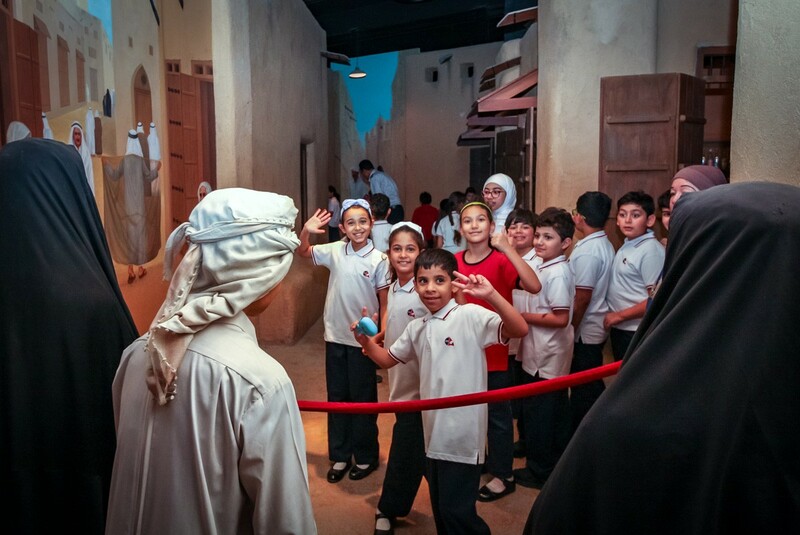 The winding path began by taking them through a series of displays depicting life in old Kuwait. 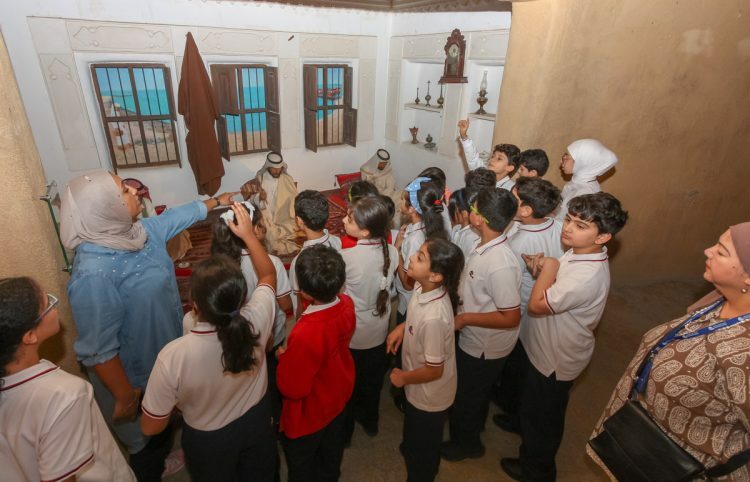 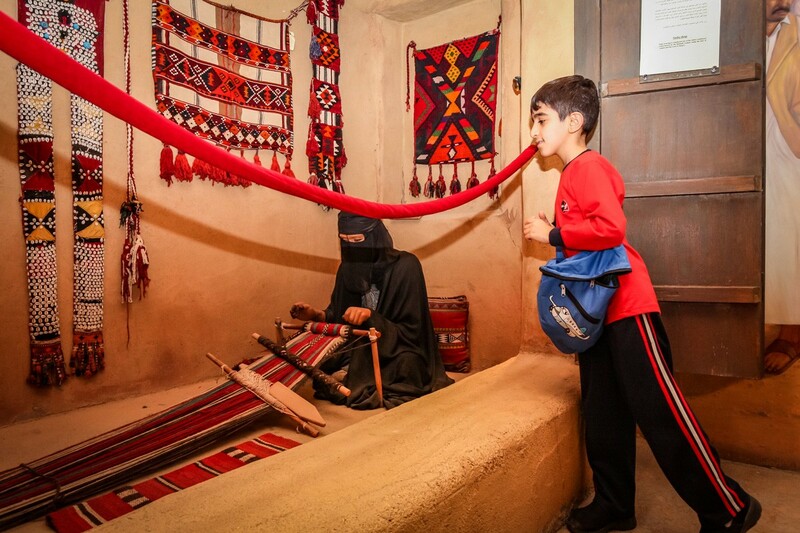 This included life-size wax-work models (which some of our pupils found a little scary) and street scenes of an old souq and its various shops and markets (bakers, leather goods, guns, household items and dates). 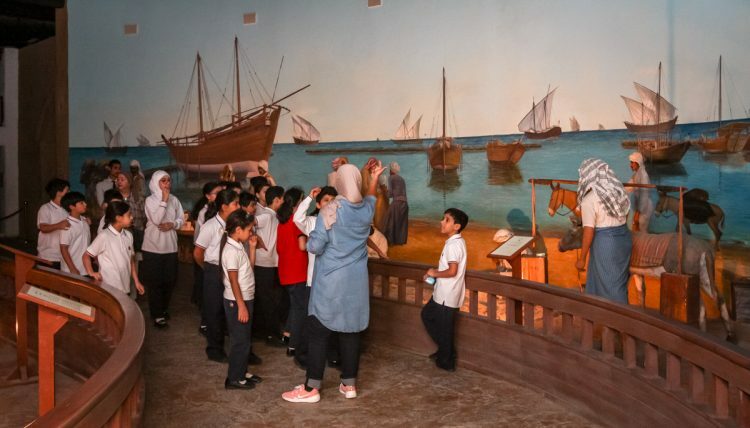 There was also an old school, a bridal room, a men’s room (Diwaniyya) and a dhow building and fishing scene. 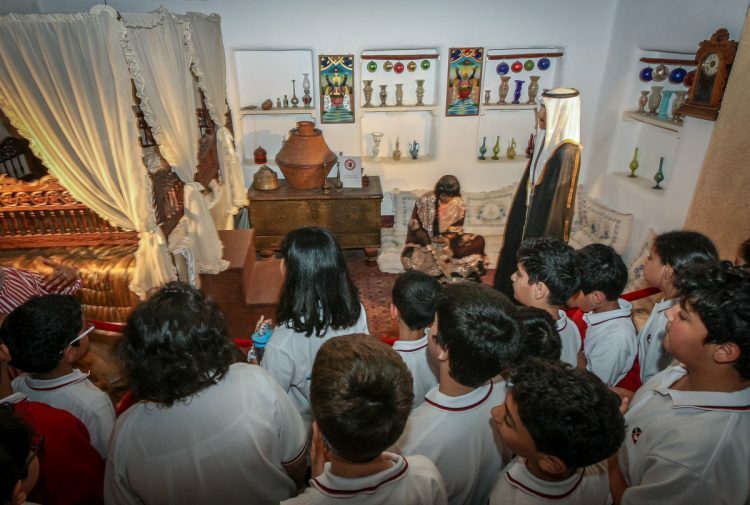 The journey continued by taking the children through more recent times. 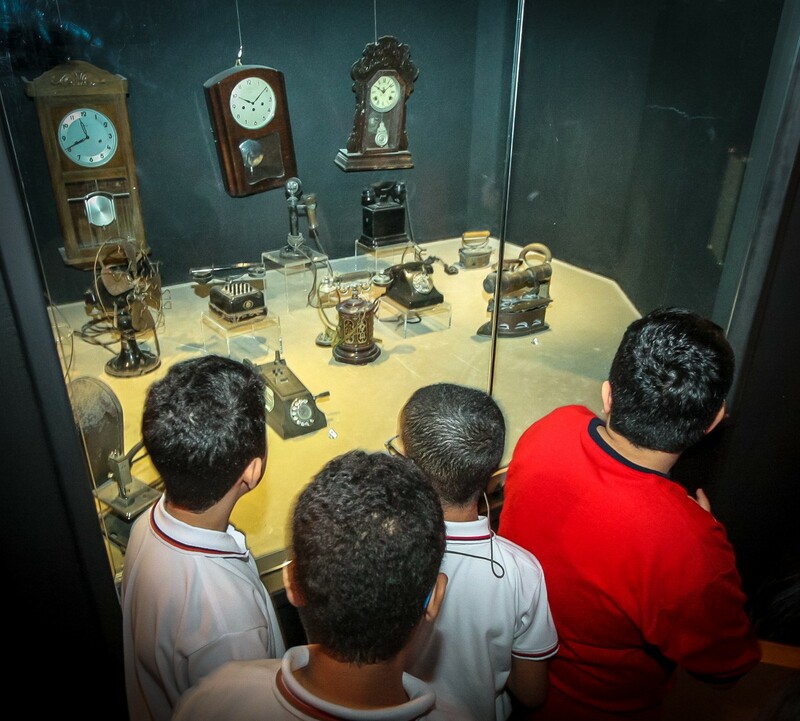 Here, actual antiques were on display, including cameras, radios and gramophones from the 1940s and 50s alongside traditional jewellery and clothing. 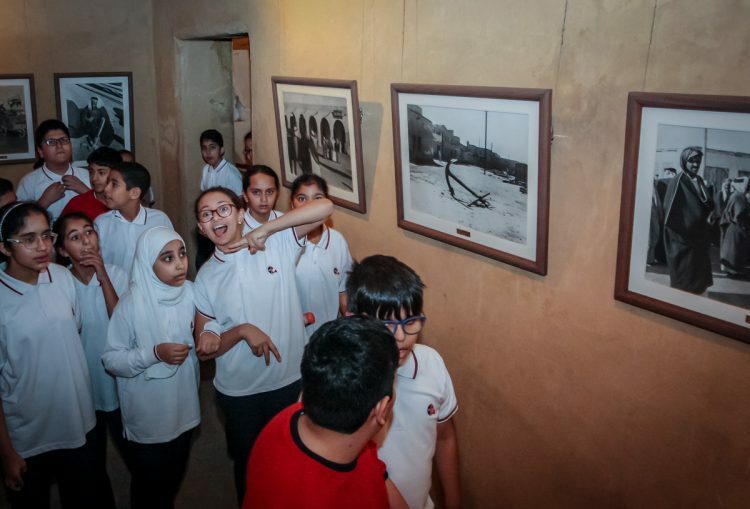 Last of all was a gallery with old photos capturing Kuwait in the early 1940s. All too soon it was time to leave, but as we did the children caught a glimpse of the trading dhow, called the Muhallab II, situated outside the museum. 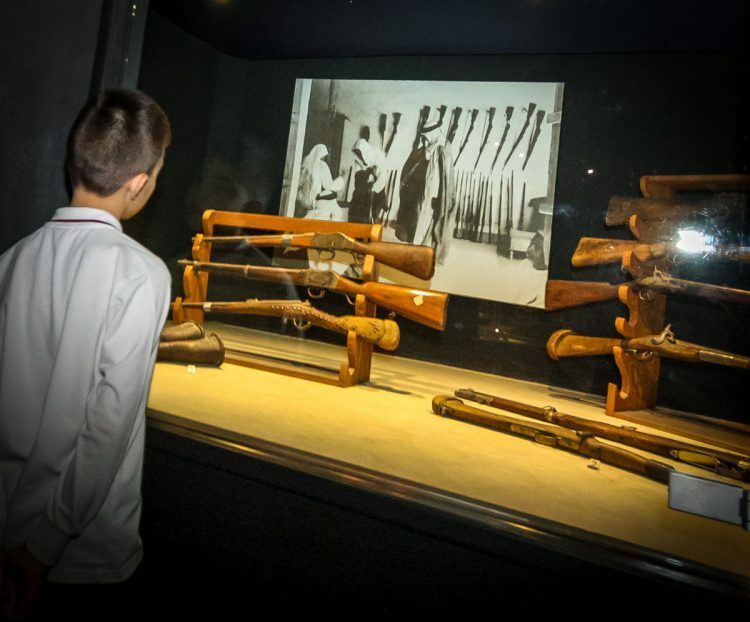 Sadly it’s a replica because the original one from 1930s was burnt during the gulf war. 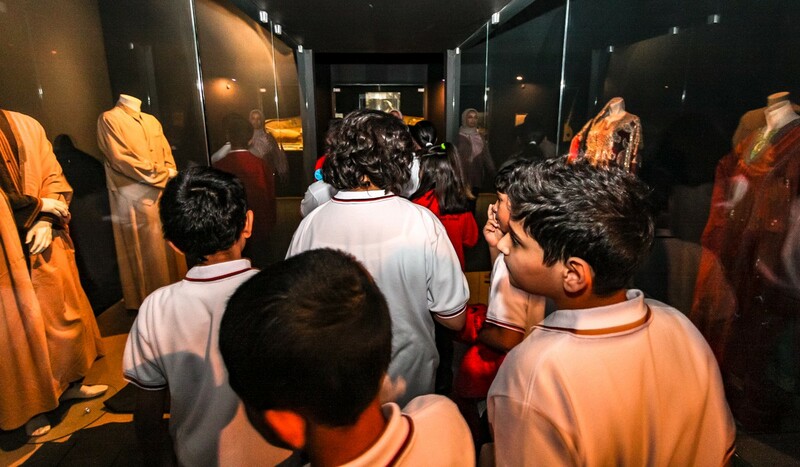 A big thank you to the museum, its staff and the tour guides for enriching our Social Studies curriculum! 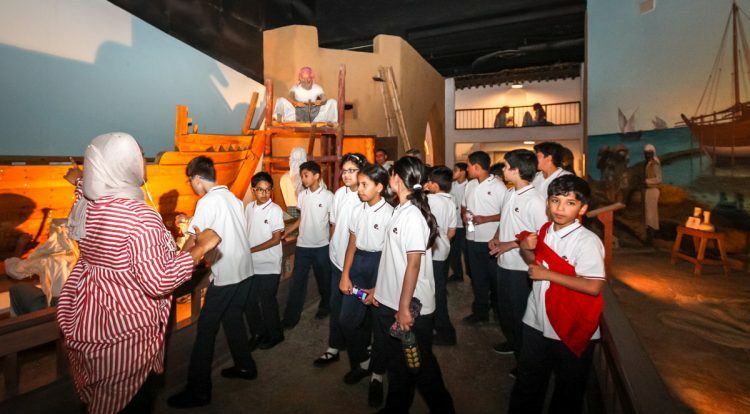 Splash Day 2018 – a wet success for Reception!